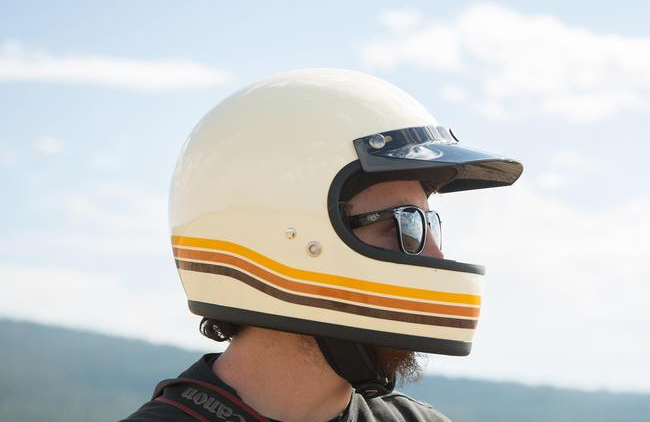 The Biltwell Gringo Helmet has a vintage look with full face protection. It can be worn with goggles for a vintage tracker style or has snaps that the Biltwell bubble shield or blast shield snap on to. The new colors for the Gringo Full Face helmet will be coming this November in Flat Titanium, Sierra Green, Safe-T Yellow, and Vintage Desert. Click here for more info or to be notified when the Biltwell Gringo Helmet becomes available.